Situated in Kingston, this aparthotel is within a 10-minute walk of Kingston Shopping Centre and Manuka Oval. Lake Burley Griffin and National Gallery of Australia are also within 2 mi (3 km). Kingston Canberra Station is 11 minutes by foot. 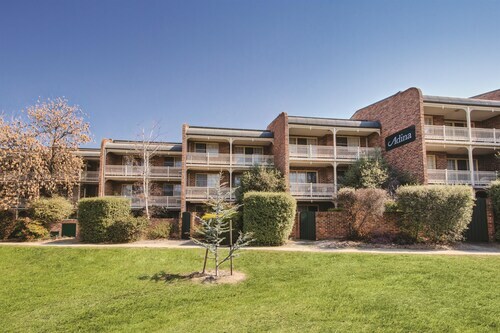 Situated near the airport, this apartment building is within a 10-minute walk of Kingston Shopping Centre and Manuka Oval. Lake Burley Griffin and National Gallery of Australia are also within 2 mi (3 km). Kingston Canberra Station is 14 minutes by foot. 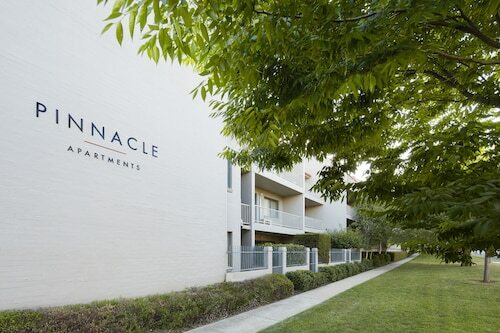 Situated near the airport, this apartment building is within a 10-minute walk of Kingston Shopping Centre and Manuka Oval. Manuka Shopping Centre and National Gallery of Australia are also within 2 mi (3 km). Kingston Canberra Station is 13 minutes by foot. 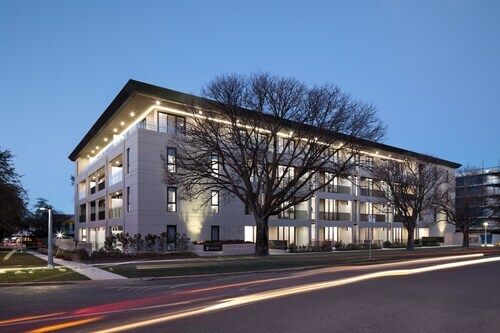 Located in the heart of Kingston, this apartment building is within 1 mi (2 km) of Kingston Shopping Centre, Manuka Oval, and Lake Burley Griffin. National Gallery of Australia is 1.6 mi (2.6 km) away. Kingston Canberra Station is 16 minutes by foot. Planning to visit Canberra? Why not stay in its oldest suburb and one of its most populous residential areas? At 4km from the city centre, Kingston is close to the rest of Canberra’s attractions while offering its own unique spots to eat, party and chill out. It’s a place where restaurants and bars share tree-lined streets with houses and parks. If that sounds good to you, book your Kingston accommodation and away you go! Kingston has a reputation as one of Canberra’s best cafe and food suburbs, and after a walk through town you’ll realise why. Giles Street, Jardine Street and the rest of Kingston’s city centre feature a large selection of coffee shops and restaurants to choose from. Vietnamese, Italian, Thai or pizza – there’s something for everyone. Although Canberra has a flourishing nightlife scene, you don’t have to go as far as the city for a night out on the town. Nightspots like B Bar and Lot 33 are among the most popular venues in the area, with DJs, dance music and even live bands every week. Those who are after something a little different can find traditional English style pubs, places with sweet Belgian beer and bars like the Holy Grail where politicians have sometimes been spotted. Kingston is also where you’ll find Canberra’s oldest public building: The Kingston Powerhouse. Built in 1915 to temporarily supply Canberra with coal-generated power, it stayed in operation until 1957. Now it’s the home of Canberra Glassworks, the only gallery in the country solely dedicated to glass art. With exhibitions, glass merchandise and live glass-blowing from artists in residence, you’ll find much to reflect on. For a shopping experience with a heap of local flavour, be sure to visit the Old Bus Depot Markets on the Kingston foreshore. It has jewellery, fashion, homewares and collectibles for sale, and you’ll easily be able to pick up a few things to remember your Canberra stay by! 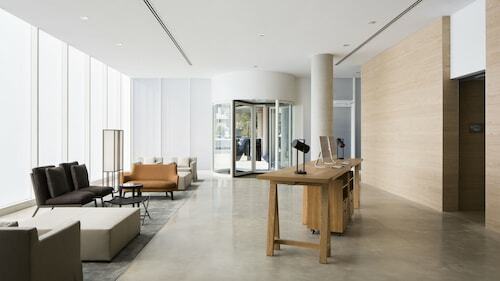 Kingston is just three kilometres from Parliament House, making it an ideal place to stay for those who want to get political on their Canberra trip. Other nearby attractions are Questacon, the National Gallery of Australia and, a short trip over the Lake Burley Griffin Bridge, Civic, Canberra’s city centre. If you want to get away from the city for a while, Jerrabomberra Wetlands is only five kilometres away. Take a walk along the tracks and keep your eyes peeled for more than 70 species of waterbirds. 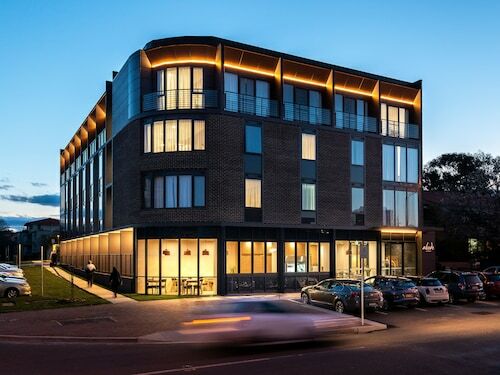 Book your Kingston hotel with us and before you know it you’ll be starting your Canberra adventure in this vibrant suburb. How Much is a Hotel Room in Kingston? Hotels in Kingston start at AU$119 per night. Prices and availability subject to change. Additional terms may apply. Have stayed here before. It is getting a bit tired. Pleasant enough, but a bit tired.